Here's one of my handcrafted holiday gifts this season! 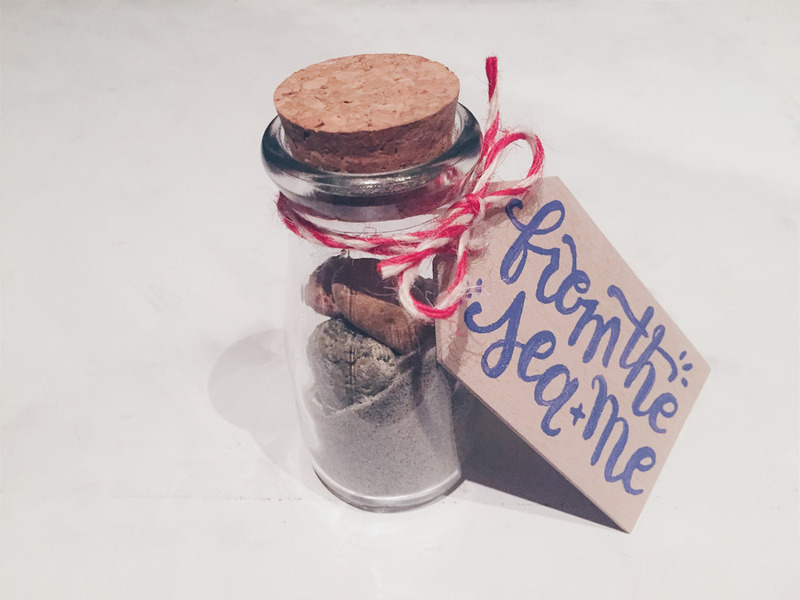 A glass jar filled with Tybee Island sand and rocks that I collected along the coast of France – little souvenirs of my two newest homes for family members back home home. The tag reads “from the sea & me” in my own cursive script.